Vadodara is located on the banks of the Vishwamitri river, 139 km from the capital city Gandhinagar. It is the third largest city of Gujarat after Ahmedabad and Surat. It is counted as one of the four cities in the state with a population of more than 1 million. Vadodara is the administrative headquarters of Vadodara district of Gujarat. Here at Singheducation.co.in, we have created a list of top engineering colleges in Vadodara for the academic session of 2016. 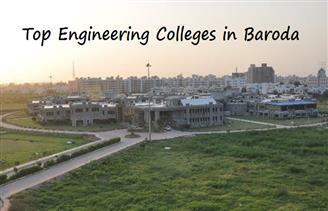 The list contains government and private colleges and institutions situated in Vadodara.